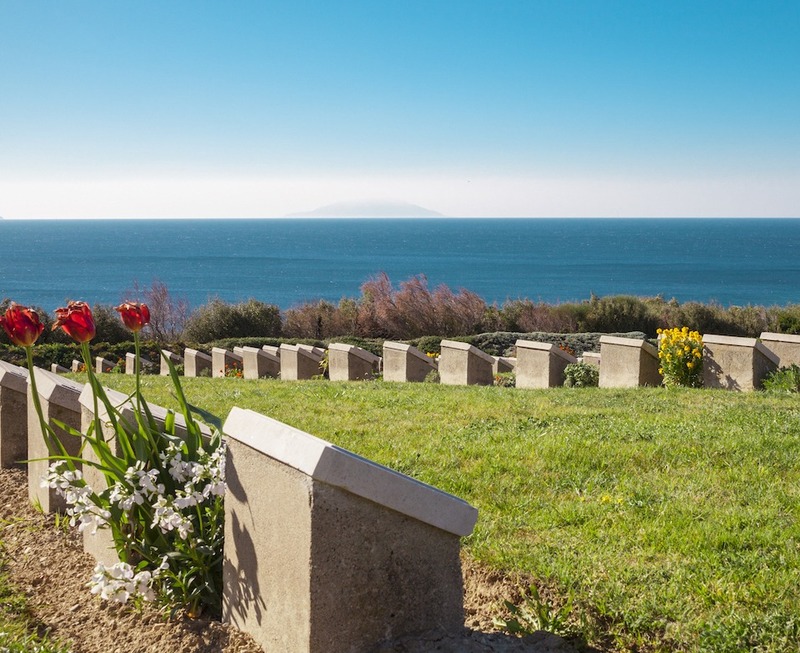 This year continues the centenary of World War I, so here we explore one of the most important events on Australia’s national calendar – the landing of the Anzac soldiers on the Gallipoli peninsula in 1915. Let’s revisit some of the events that made this particular battle so legendary, and that will be remembered this year across the country. Not long past 1 am, the Anzacs began disembarking north of Kabatepe, at what is now known as Anzac Cove – a site famous for its treacherous terrain. From its very beginning, the Anzac landing veered away from the original plan, when the first boats lost their bearings in the dark and landed too far north of their target. Troops disembarking from the crowded landing boats then faced rough, craggy terrain and steep cliffs, where the Ottomans had the higher ground. For a time after the Anzacs landed, bullets rained down on the heavily laden men, who were weighed down with supplies and weapons, before the beach was secured. By 8 am on the first day of the landing, approximately 8000 men were ashore. By the end of the same day, that number had doubled. Of the Anzacs who managed to navigate the harsh terrain and get closer to their target, many were cut off and surrounded when Turkish reinforcements arrived. The ground they had gained so painstakingly was lost to counterattacks by Turkish troops, who had the higher ground, and the Anzacs were forced back towards a narrow strip of hills only three kilometres wide. Despite the best efforts of the troops, however, no ground was gained, and thousands more men lost their lives. Not long after, on 19 May, a surprise attack on Anzac Cove was launched by more than 40,000 Ottomans. It spurred a struggle for a relatively small area of ground that would continue until December 1915, when the troops were finally evacuated from Gallipoli. Today, the landing at Gallipoli is remembered for the daring sacrifices made by the Anzacs in conditions and terrain that were far harsher and crueller than anyone could have imagined. Although the military campaign was ultimately unsuccessful, the spirit of the Anzacs continues to inspire Australians every day, with its emphasis on the qualities of courage, mateship and sacrifice, demonstrated by troops at the Gallipoli landing.